The Journey of a 1000 miles begins with a single step. You have successfully completed the form! And that is a good first step. Whether applying for a Forest Therapy Guide training and certification, or registering for one of our wonderful immersion programs, we have your information in our records and will respond to you within two weeks. Meanwhile, relax and enjoy some of the resources on this page. .John Muir once said “between every two pine trees is a doorway leading to a new way of life.” Now Amos Clifford has given us a beautiful and inspiring guide inviting us to seek out the trees and let the healing happen, both for us and for our beleaguered ecosystems. Grab this book and head outside. 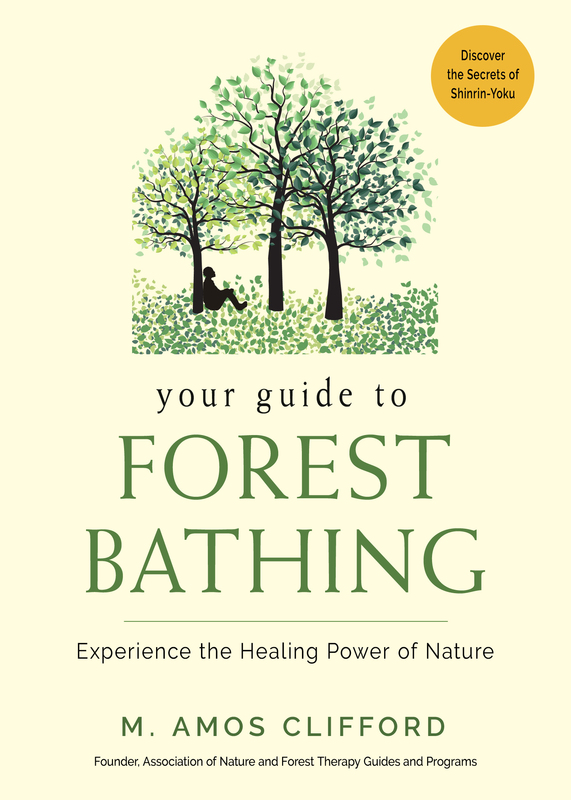 In this book, Amos Clifford invites you to forest bathing. He gives a delightful introduction to the healing power of forests that supports wellness in a stress-filled society. ‍Your Guide to Forest Bathing, by ANFT Founder M. Amos Clifford. This is the definitive guide to the practice of forest bathing and essential reading for forest therapy guides. If you have not already, we invite you to join our mailing list to receive training updates, newsletters with blog articles and 10 forest therapy invitations to begin your practice with.